In approaching loyalty programs, too many companies think that they have to be all things to all customers. As a result they design programs that are either too expensive, or offer inadequate rewards. The solution? Concentrate your attention on those segments of your customer base that will do you the most good, and do not waste significant resources on the others. A segmentation and customer satisfaction study. This showed that the best customers perceived the least value and were the least satisfied with the company’s service. Developed 68 different statistical models exploring all aspects of the defection problem. Rated the models based on performance versus a control group. Selected a neural network for the final segmentation job which had the ability to handle a large volume of variables. 53% of preventable defections occurred before the seventh month of a subscriber’s contract period. The stroke of genius was to use quadrant analysis to create customer segments, based on revenue and risk. This analysis really illustrated the segment where the company could achieve the most benefits from a loyalty program. They recommended that the company create a program designed specifically for this critical group of customers. Identify the four key customer segments, adjusting them as new customers arrived, old ones left, and existing customers moved up or down. Allocate marketing investment based on revenue and profit for each segment. Provide super services and proactive communications to their best customers in Group A. Use the models plus customer daily behavior to detect defection problems and resolve them before the customer headed for the door. The programs generated a return on investment of $2.09 for every $1 invested. Attrition of those customers receiving the rewards communications in Group A was 1.27 points lower than those in a control group. Average revenue ($1,412) in the rewards test group was 5% higher than in the control group ($1,358). There was an increase of $19.6 million dollars in annual sales to those 13,881 customers who were retained by the loyalty program (compared to a control group). This last result is the most impressive to me. The models were used to identify exactly how many customers did not defect as a result of the loyalty program. Too often a loyalty program is launched and conducted without ever knowing exactly how much good is being done — or not done. How can you prove how effectively any program is working? But setting up a control group that does not get the benefits. This is often the most difficult part of any rewards program. In designing a rewards program like this one for the cellular phone company, the question often comes up; “How large should the rewards be to create the modifications in customer behavior that we are seeking?” One telco tried four rewards: a letter which thanked the customer for their business, a similar letter with 50 free minutes, and two other similar letters offering 100 and 200 free minutes. Which letter produced the desired behavior change at the least cost? The letter without the minutes produced only very slight improvements. The three letters offering free minutes all worked equally well. Conclusion: giving a valuable reward works better than no reward at all. But if you are giving a gift, it really does not matter how large the gift is. The company settled on fifty minutes as their most cost efficient reward. From the above, it is clear that there is a lot that companies can do to reduce their attrition rate. The requirements: you have to have a customer marketing database that keeps track of customer behavior and the communications to the customer. 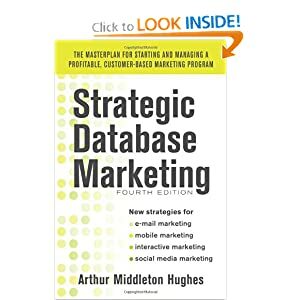 The database has to hold the data that is necessary to create a predictive model. You have to experiment to find the most prodictive models. Then you have to use your models to create segments that permit you to concentrate on where the problem is. For your most critical segments, you have to experiment with rewards until you get the least costly, but most effective reward that produces the behavioral result you are trying to achieve. You measure your results using control groups. While this has been done by many companies, they represent only a small percentage of the companies that could and should be creating loyalty programs for their most critical segments.